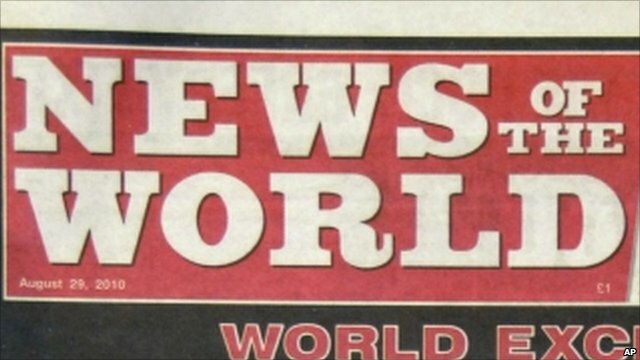 News of the world has been big news lately because of the phone-hacking allegations. The consequence of brands reviewing advertising deals has been widely debated in many marketing Medias. See some of the links below. When considering the effect of a brand you can’t just look at the brand alone, you have to look at the environment the brand lives in and uses. The Medias and channels you use to market your brand also sends a message about the brand itself. In our case we exclude certain Medias because we feel they don’t reflect the values we want associated with our brand, even if some of this Medias has a very high level of distribution in our target groups. All based on the knowledge that your brand will be analysed in a context, not as an isolated object. That’s why I think the brands that are just “thinking” about boycotting New of the World should take a stand and do it. This is also a very important brand message! This entry was posted in Branding and tagged Branding, News of the World. Bookmark the permalink.